Forbo Flooring Systems is a global market leader in sustainable floor covering solutions. Forbo’s flagship brand, Marmoleum®, owns a global linoleum market share of over 60%. Forbo also offers high quality vinyl, textile and entrance system products. Forbo is committed to environmentally responsible production and sustainable practices throughout its global operations. Explore our products and feel free to contact us for more information. People spend 80-90% of their time indoors, and buildings should be developed with the health and wellness of building occupants at the center of their design. 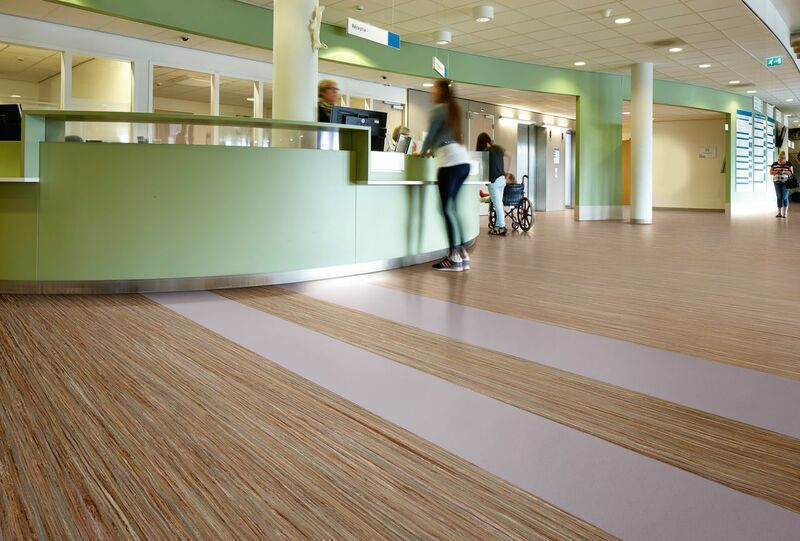 Flooring is the basis for our indoor environments, and through our flooring solutions, it is Forbo’s ambition to make a positive contribution to the health and well-being of every individual who comes in contact with our product. Forbo’s “Committed to the Health of One” program introduces a commitment to sustainability that involves all aspects concerning health, well-being and comfort in relation to our products and services. We strive to create safe, non-toxic environments by offering easy to clean floors that reduce allergy burden and control bacteria growth, without chemical additives. Our products are available in a broad range of colors and textures to create comfortable, attractive, healthy place to live and work, today as well as for future generations.